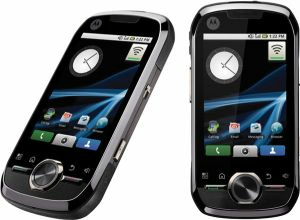 According to NEWS The Motorola i1 will be available on Sprint’s network starting July 25. The new smartphone will have WiFi, a 3.1" HVGA touchscreen, 5 MP camera, SWYPE keyboard and the Opera Mini 5 browser. Okay, so its no Evo or Epic 4G. The i1 will still have use of Sprint’s excellent 3G network and, all things considered, this little mobile would make a fantastic starter smartphone. The inclusion of Swype will hopefully pave the way for its wider adoption across the Android line.